This project aims to build workforce capacity to deliver sustainable community mental health services throughout Fiji and Solomon Islands. To support this aim, AAMH is working with government, professional, academic and community partners, supported under AusAID’s Public Sector Linkages Program. The project, delivered between 2012-2014, improves community mental health through training, leadership support, and stakeholder linkages. It is establishing service development frameworks that provide sustainable basic mental health care to protect, improve and maintain community mental health that can be scaled up more broadly and disseminated widely. It builds capacity in the workforce and seeks to build consensus around the development of services for those who have experienced a mental illness. The program of work reflects our partners’ own development targets. January 2012 Suva, Fiji- initial project meetings with key stakeholders, including Ministry of Health (MOH) and Fiji National University (FNU). April 2012 Honiara, Solomons- initial meetings with key stakeholders, including Ministry of Health and Medical Services, Integrated Mental Health Services, Solomon Islands, College of Higher Education and WHO Country Office. July/August 2012 Suva, Fiji 4 week intensive teaching block with the College of Medicine, Nursing and Health Sciences, including participation in supervision and practicum opportunities with students in mental health services. August 2012 Honiara Solomon Islands – Collaboration with Integrated Mental Health Services to present at the National Health Forum. March 2013 Honiara Solomon Islands- Disaster Mental Health stakeholder meeting and workshop, including expertise from the Australian Red Cross. May 2013 Sydney, Australia- Presented on Pacific Mental Health at the Asia Pacific Forum, Royal Australia and New Zealand College of Psychiatrists Congress. 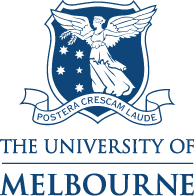 June 2013 Melbourne, Australia- Specialist Training Program delivered with Faculty from College of Medicine, Nursing and Health Science regarding developing and delivering postgraduate mental health courses. September/October Honiara Solomon Islands – 10 day intensive workshop in Community Mental Health and Public Health. The burden of non-communicable diseases (NCDs) including mental health, and the need to address its impact in developing countries, is gaining global recognition. Many countries in the Pacific are still struggling to make progress with the Millennium Development Goals. As is the case for physical health, untreated mental illness is directly linked to poverty (estimated mental health treatment gap is >90%). Furthermore, the major causes of excess mortality and morbidity in the Pacific region – communicable diseases (including HIV), accidents and injuries, and the increasing impact of alcohol, tobacco and illicit substance use, are all mediated by behaviour and compounded by compromised mental health. Improving health outcomes through better access to basic mental health care and addressing the behavioural determinants of other priority health conditions will advance the socio-economic development in our Pacific region. Although the Western Pacific Region has shown improvements in physical health over the last 50 years, the indicators of mental health have deteriorated in the same period (WHO Regional Strategy for Mental Health).